Part of the Summer 2013 Blue Invasion Collection which includes three "blue" fragrances - Blue Encens, Blue Cedrat and Blue Santal in characteristic flacons colored in blue, iridescent from the darkest to the lightest shade. The new perfumes are created to accentuate radical contradiction providing a mixture of luxurious warmth and sea freshness. The olfactory evocation of the fascinating paradox presents the blue color as timeless and very intense in three different ways. 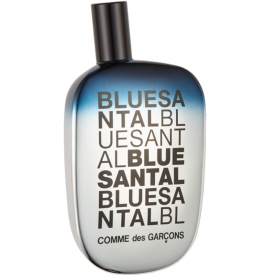 Comme des Garçons' Blue Santal EDP is a fusion of iced, cooling Australian sandalwood accompanied with warm pine notes and sharp juniper berries. Embrace contradiction and let yourself be taken over by the blazing intensity of Blue. - Notes: Mediterranean parasol pine, juniper berry essence, blue pepper, Australian sandalwood. This is a lovely typical Comme des Garcon sort of scent so quite unisex. I find it lasts rally well and after the initial hit it cams down to that lovely spicy aroma. The notes are pine, pepper, sandalwood and juniper and thy ll hit but I like it when the pine clams a bit to mellow with the sandalwood which I love. Once again my husband had a chance of testing a sample of Comme des Garçons Blue Santal EDP (which despite being 2ml lasts for a fortnight of everyday use). 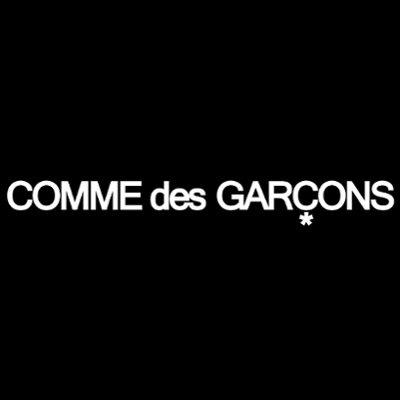 It is a typical Comme des Garçons perfume with spicy notes that may be overpowering at the beginning, but later moves on to a subtler scent. It is a universal fragrance (no strict age limits apply I believe), however, not a very unique one. Thus if you want something more original, perhaps you should consider other creations of the brand, like Amazingreen or else. But in general I can recommend it for daily routine. Another great fragrance from Comme des Garçons! A warm, fresh and mildly spicy fragrance. Long-lasting. Less distinct than some of the Comme des Garçons EDPs, but still a great fragrance. A fresh and spicy men's fragrance that suitable for day or evening wear. "A pleasant unusual scent that would suit men and women who like woody spicy scents"